We’d have started probably in about ’85/’86, so quite early on decided that there was quite an interest. And I think a lot of it had come out of the monthly meetings, where the desire to learn came through really strongly. So we’d have started in a very, you know, in a very small way, just maybe doing two or three, January to May, and then two or three, September, October, November. And it did, there was an interesting evolution with the courses. 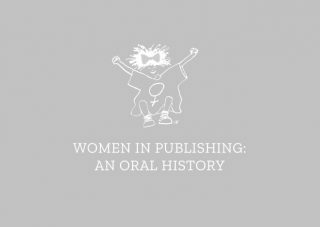 In the early days, if you went on a Women in Publishing course you were being very daring. You were kind of going off and getting yourself trained, you know you were – ‘cos it was considered to be this feminist, this feminist women’s group, what did they think they are, you know there was a lot of that around when we first got started, quite a lot of resistance. You know – ‘Why are you going to that?’ And people would leave work and quietly leave work… They didn’t go ‘I’m going to the meeting, anybody coming?’ It was ‘Um, I’m off. I’m going out for the evening’. And then, there was a point at which when some people started to say, ‘You know what? I think my employer ought to pay for this.’ And OUP, I have to say, OUP lead the way. There was somebody called Sue Johnson, who was the training officer at Oxford University Press, and I talked her into doing a course on ‘Speaking with Confidence’. And that was a sea change because she got behind us, and so I then said to her, look would OUP be prepared to pay for people to come on these courses? And because she’d seen how serious people were, made her think, Ah actually this is interesting. And so she started to pay for people.